We are thrilled that you will be joining Clazroom Family. 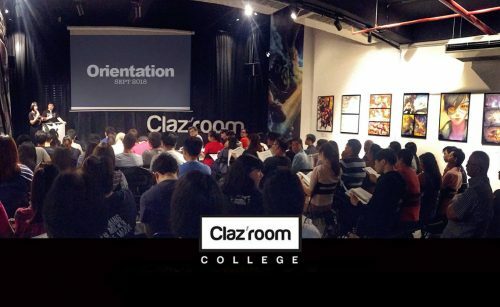 Happy to meet everyone and we hope that by the time you leave orientation, you will be on your way to becoming a successful Claz’mate. Never fear: you have us by your side to guide you. Be excited: The future awaits! Students of the new intake is gathered in The Odeon for the orientation day!